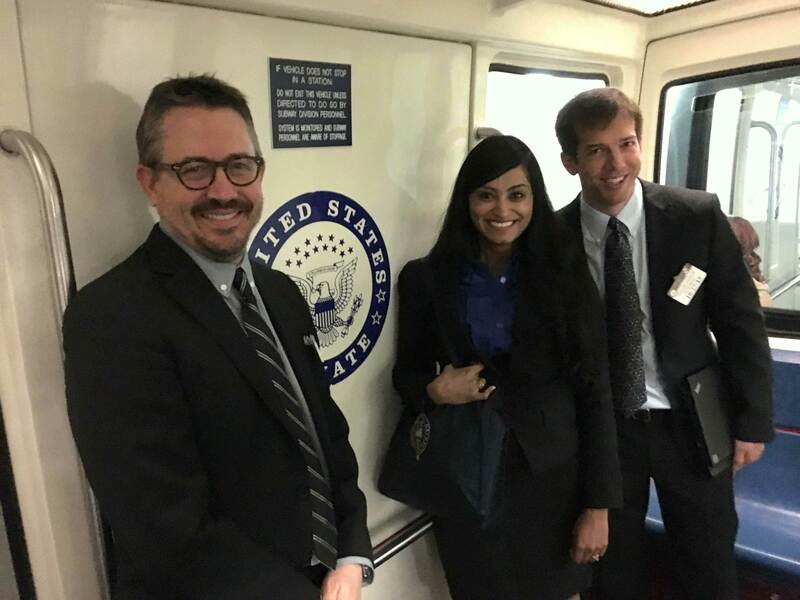 Bikanta’s Dr. Ambika Bumb joined UCLA Professor Chris Regan and Molecular Foundry Director Jeff Neaton for a visit to Washington D.C. to discuss nanoscience with key members of Congress and staff. The advances in technologies ranging from medicine to electronics to solar that have resulted from the government supporting and funding nanoscience are vast. 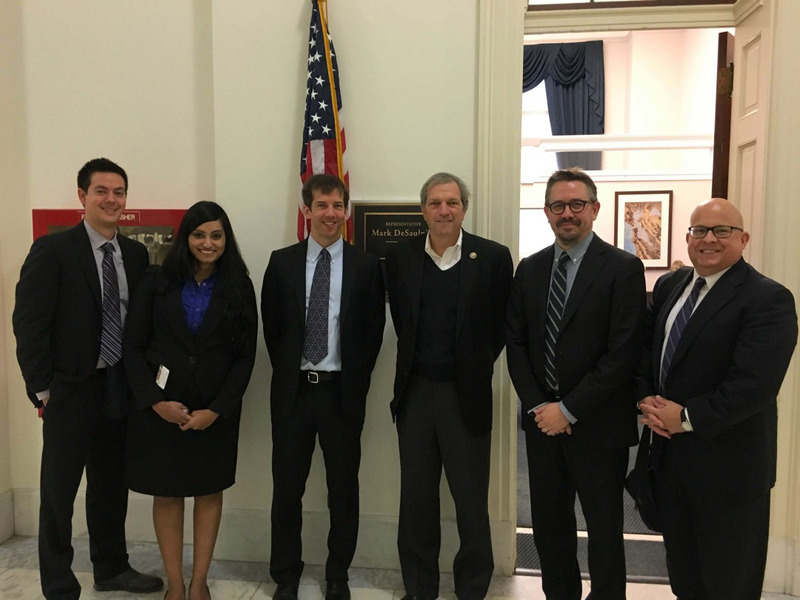 While Dr. Bumb described the innovations at Bikanta using nanodiamonds for disease detection, Dr. Regan discussed novel methods to measure temperature at the atomic scale, the impact of which will lead more efficient computer processors. Both are users at the Molecular Foundry, a Department of Energy funded facility that was created as a result of the National Nanotechnology Initiative (NNI), the U.S. federal research and development program established to coordinate multiagency efforts in nanoscale science, engineering, and technology. 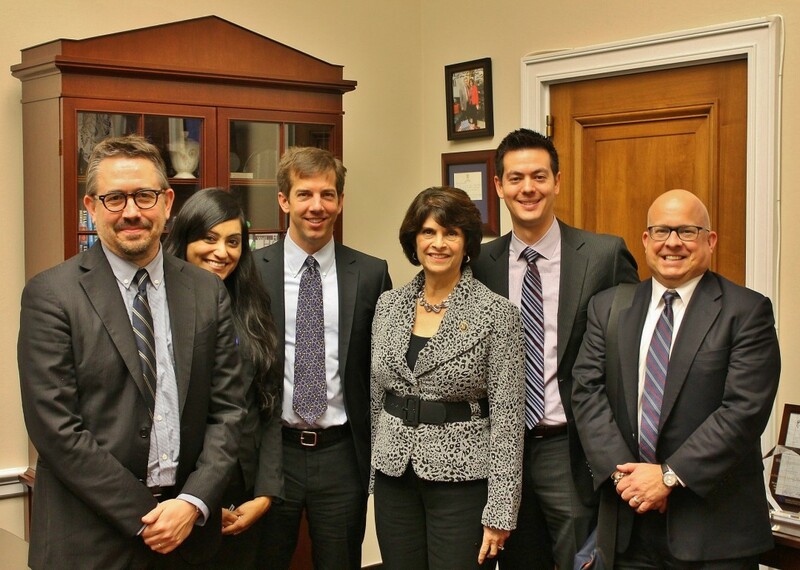 Dr. Branden Brough, Director of Strategy and External Relations at the Molecular Foundry, and Don Medley, Head of Government and Community Relations at Berkeley Lab, also joined the group that met with Congressman Mark DeSaulier (D-Concord), Congresswoman Lucille Roybal-Allard (D-Los Angeles), Congressman Mike Honda (D-Silicon Valley), Congresswoman Zoe Lofgren (D-Silicon Valley), and Congressman John Garamendi (D-Walnut Grove). 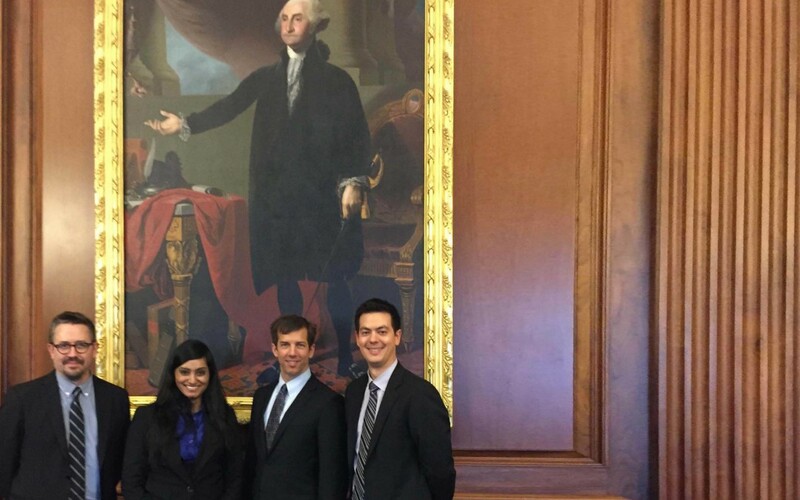 They also had meetings with senior staff from the offices of Congresswoman Barbara Lee (D-Oakland), Congressman David Valadao (R-Central Valley) and Democratic House Leader, Congresswoman Nancy Pelosi (D-San Francisco), and Democratic and Republican staff from the House Science Committee, Senate Energy and Natural Resources Committee and Senate Energy and Water Development Appropriations Subcommittee. 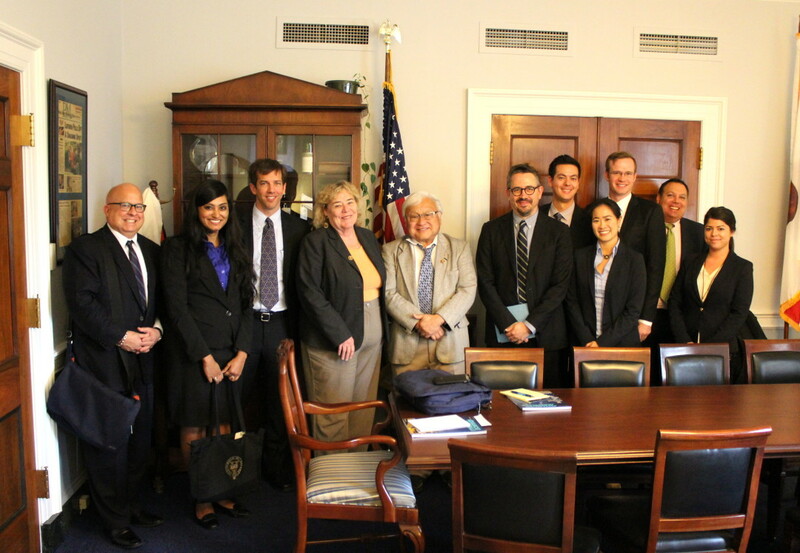 Following the visit, Representative Lofgren blogged about the meeting, as did Berkeley Labs and the Molecular Foundry.